All I knew was the fact; that I didn't have great vision for which I needed glasses. I have been wearing them for the past 20 years now. I didn't have any eye problem as such that necessitated the need to visit an eye doctor but with my constant headaches, watering of eyes and slight disturbance in the side vision got me thinking about a consult with an eye specialist. I discussed these problems with my son who too agreed that is a wise decision to see an eye specialist. He did some research online on best eye hospital in Mumbai and best eye specialists in Navi Mumbai and decided that a consult at Advanced Eye Hospital and Institute (AEHI), Palm Beach road Vashi is the way to go. We booked an appointment at AEHI which was hassle free. A lot of places; keep you on hold for about 20 minutes to just get an appointment but not at AEHI. The mere fact that appointments are given utmost care shows the quality and dedication of their work. I was impressed already and knew for sure that I was getting my eyes checked at the right place. Finally my appointment day arrived and I ended up at Dr. Rajesh Mishra, Glaucoma and Cataract Surgeon consulting room. I told him about my eye complains and he heard me out patiently. I told him how I have been wearing glasses for the past 2 decades yet my vision still seems to be decreasing; not entirely just at the corners of the eye. As he checked my eyes I noticed that he didn't just look at the anatomical and the structural integrity of my eye but in fact was more concerned about what I thought about my vision. He wanted to know if my vision was hampering my day to day activities and what were the difficulties I was facing since the change in vision. 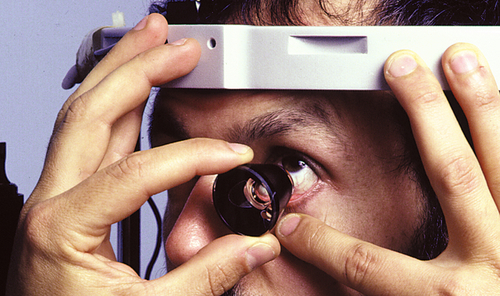 It is very rare to find an eye surgeon who cares about the quality of life of patients. Dr.Rajesh Mishra checked my eyes and said that I need to undergo few more tests as I suffer from glaucoma. I was shattered on hearing the fact that I suffered from glaucoma and never knew about it. 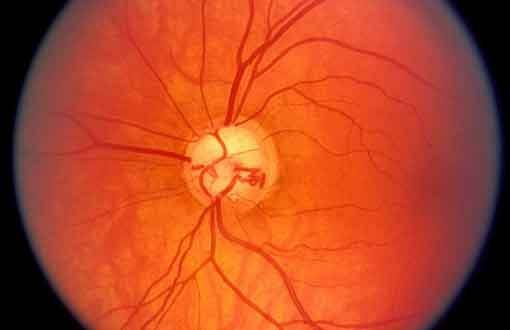 The surprising part was that my glaucoma was in a much later stage but since I had no symptoms nor did any of the previous doctors diagnose me of it; I took it for granted. 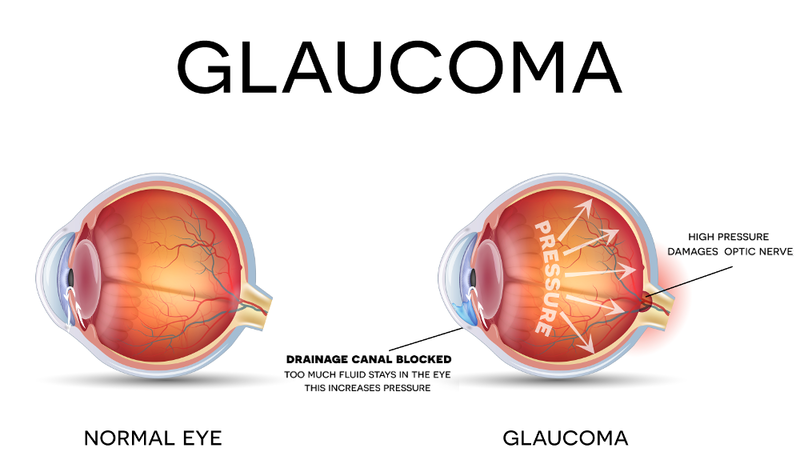 I knew nothing about glaucoma but Dr. Rajesh Mishra took out time to explain as to what glaucoma is. It was fascinating to know that our eyes have pressure just like we have blood pressure and this eye pressure is raised in glaucoma. 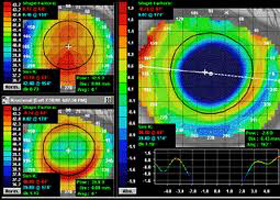 I was asked to undergo further more tests to know the extent of my glaucoma. I thought this would require me to come on some other day but that wasn't the case. It was done then and there. I underwent gonioscopy (a painless eye examination to see the area that drains the fluid in the eye is open or closed) and pachymetry. After analyzing these tests, Dr. Rajesh Mishra broke out the news to me about how severe my glaucoma was which has worsened over a period of time. He mentioned that it’s likely to be missed as symptoms don't manifest too soon. Since my glaucoma was very serious; I was advised to be very careful with my treatment. I was relieved when Dr. Rajesh Mishra, Glaucoma and Cataract Surgeon mentioned that though surgeries are available for glaucoma; they aren' t the primary choice of treatment. He prescribed eye drops that I had to use for the rest of my life where in my glaucoma would be followed up time to time and accordingly managed. I was concerned that the eye drops would be very expensive since I had to use them for the rest of my life. Before I could put my concern forward to Dr. Rajesh Mishra, he told me how these medicines are easily available at any store and are economical to use. It felt like he read my mind. I was glad I came to AEHI eye hospital. Every patient is treated compassionately and checked in detail. AEHI has one of the best eye surgeons in Navi Mumbai as they leave no stone unturned when it comes to treating their patients. I was very happy that my eye problem was caught in time and currently is healthy. Indeed AEHI is the best eye clinic in Vashi that has highly trained eye surgeons who are skilled and honest. I would recommend anyone who suffers from glaucoma to visit AEHI eye hospital for glaucoma treatment. Dr. Rajesh Mishra (MBBS, MS, FAEH, PGDHM) is Glaucoma and Cataract surgeon at Advanced Eye Hospital near Vashi, Navi Mumbai. He has years of experience and has served at various hospitals around the country. Being glaucoma specialist, his work is mainly focused on Glaucoma and Anterior segment. He has successfully treated a variety of glaucoma patients, children and adults, as well as operated more than ten thousand cataracts.